When buying a new home there are always a few things that you would rather upgrade than keep. Flooring is typically one of those things you can live with but an upgrade would pull that room together. 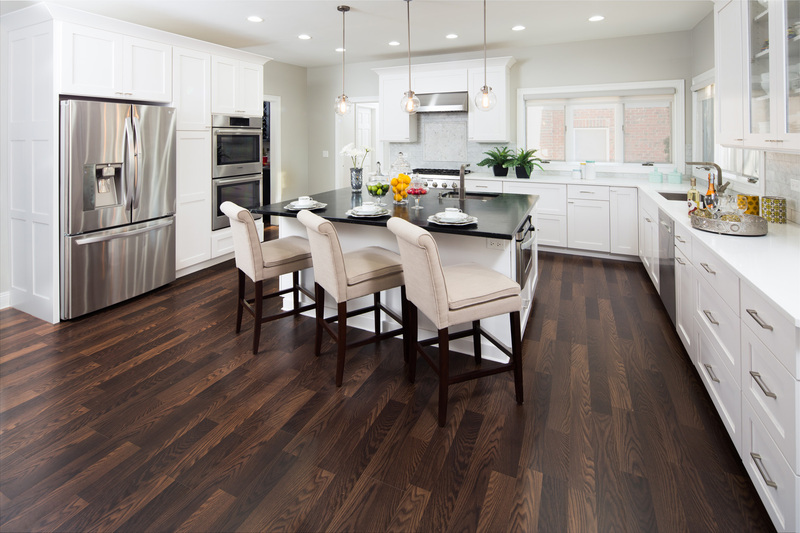 Whether it is your kitchen hardwood or your bedroom carpet it is typically an easy fix, especially if you have the flooring replaced before you start moving in. Although getting that new floor installed is rather easy, it is picking out the new material that can be tough. Whether you have owned your home for a while or you are buying a new house, deciding what material to use can be pretty stressful. There are so many options available and within those an even larger variety of materials, colors, and designs. Carpet This is the typical go to for living areas and bedrooms, wall-to-wall carpet has been a popular flooring choice for a over a century. When choosing your next carpet look for the best mid-grade carpet you can afford. Make sure to get the right carpet pad as well, this will insure that you get the longest life possible out of them both. A few of the most popular places for carpet in your home are bedrooms, offices, and living rooms. Tile Today’s tile comes in a huge variety of colors, shapes, and sizes, but it all has one thing in common: it’s nearly indestructible when installed properly. The two different categories of tile are wall tile and floor tile. When choosing a tile make sure that you have kept in mind how uneven your floor is. Typically smaller tiles are more forgiving of uneven floors. When a tile doesn’t make full contact with the mortar bed, it will come loose, then others will follow. A few popular spaces for tile in your home are high traffic areas such as kitchens, bathrooms, dining rooms, mudrooms and laundry rooms. Wood Wood floors are timeless and sturdy and come in both solid wood and engineered formats. Solid wood floors give you a floor that’s completely seamless. Many people choose prefinished wood floors to make installation easier, but unfinished wood floors are still available. Engineered wood floors are made from layers of wood and plywood. Although they have the look of finished solid wood floors they are overall not as durable. Some of the most common places for wood flooring throughout the house are entryways, kitchens, living rooms, and dining rooms. Laminate Laminate flooring is a very durable, flexible and affordable hard surface for all sorts of homes and situations. Being very similar to engineered wood flooring, laminate flooring consists of several layers of materials. Unlike a wood floor, laminate floors are installed without glue or nails, which is why some people still refer to them as “floating floors.” Because the material is designed as tongue and groove boards, everything fits tightly as your jigsaw puzzle of a floor is constructed. When it’s done, all that’s required to hold it in place is properly installed trim. Laminate flooring is common in many places throughout your home especially kitchens and bathrooms.